Paul is Professor and Director, Climate Change Institute, University of Maine at Orono. 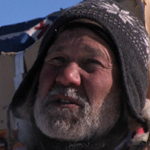 Since completing a PhD at Ohio State University (1973) he has led researchers investigating climate history in both the Arctic and the Antarctic. He headed the Greenland Ice Sheet Project Two (GISP2), which helped establish our contemporary understanding of polar climatology. Currently he chairs a 21 nation effort exploring the last 200 years of Antarctic climate history (the International Trans-Antarctic Scientific Expedition or ITASE), and leads the US field component. He also has led scientific expeditions to core ice in the Himalayas and Tierra del Fuego. He is author of “The Ice Chronicles” (2002), the climate change story Greenland ice cores, and “Journey into Climate” (2011), the adventure and excitement behind climate research in the polar regions and the world’s high mountains. He is a Fellow of the Explorers Club and the American Geophysical Union.